Startupbootcamp, one of Europe’s preeminent startup accelerators (previous coverage) has launched a dedicated accelerator specifically aimed at tech startups working in the financial industry. Ten companies will receive mentorship from entrepreneurs and investors, as they look to iterate in the lead up to launch. And each team will be given €15,000 in cash, at least €450,000 in ‘partner services’, and more than three months’ worth of free office space in London’s Rainmaking Loft. If you’re keen, you can sign up now. Nestling into a packed house at the RSA in central London earlier this week, it soon became clear that this wasn’t going to be any old discussion around the education system. The Skills 2014 event was timed to coincide with the announcement of the UK government-backed initiative called the Year of Code, a campaign to raise awareness and interest in computer programming. To recap, over the next 12 months a series of events will be held to promote coding in education, including a week-long stint in March which will encourage every school to teach pupils at least one hour of basic programming. And yes, it is very reminiscent of the Hour of Code campaign set up for Computer Science Education Week in the US last December. In addition, £500,000 ($815,000) will be provided to fund teachers to train in programming. All this hullabaloo comes ahead of a new computing syllabus that’s launching this September in the UK, making it mandatory for students between the ages of 5 and 16 to tackle programming in the school environment. At the Skills 2014 event in London on Tuesday, a quick peruse through the program revealed some well-known names from the world of business, education and government were locking horns to reimagine education in an increasingly digitized world. While the occasion did have a strong UK focus, many of the ideas that emerged from the sessions can be applied to other countries around the world, with speakers hailing from Singapore, Israel, Estonia and other places. Consider this: Around 1 in 4 young people in the EU today are unemployed. Conversely, around 1 in 4 employers have entry-level vacancies unfilled because they can’t find the right candidates. Throw into the mix somewhere in the region of 900,000 job vacancies in the European IT industry, and it’s clear that we need to start really thinking about ripping up the education rule-book. Suli Breaks has become something of a phenomenon on the Web. While he’s currently traversing the globe in 80 days, he’s perhaps more well-known for his spoken-word performances such as why I hate school but love education, where he proclaims that there’s more than one way to be an educated man – it’s not just about school and university. And it was this video that was used to set the tone for the day’s discussions, with host Saul Klein kicking things off with a fairly depressing statistic on how our enthusiasm for school steadily dwindles from a high of 95% of pupils in Kindergarten, to a low of 45% by the time they leave.”We start with this unbelievable enthusiasm and a love of learning, but then…”. Klein deliberately trailed off, letting the downwards-moving curve on the big screen finish the sentence for him. Yes, it seems the education system takes the enjoyment out of learning, by following a rigid curriculum that doesn’t adapt to children’s needs. But more on this later. One of the key criticisms to emerge from discussions was that schools typically don’t instill an entrepreneurial spirit in children. Saul Singer, Israeli journalist and co-author of Start-up Nation, pondered that whatever it is that makes a person innovative, may also make a country innovative. To look at what makes a country innovative, we need look no further than Singer’s own country – Israel – which has been producing some amazing tech companies in recent times. Remember, it was only a few decades ago that Israel was largely an agricultural country. So how does Israel teach innovation? But of course, not every country has this ingrained, thus we should focus on how we can foster the entrepreneurial spirit within the education system. And the key is to start young. Hacking weekends have surged in popularity, with participants working towards building a minimal viable product (MVP) in just a couple of days. But it can be done simply by giving a young person a problem and arming them with the tools and guidance to solve it. It’s about moving away from an exams-and-grading mindset to a practical life-skills ethos. What’s the best way to learn about cashflow? Create a small business with real money that requires cashflow knowledge. This was a key topic of discussion throughout the day – a school curriculum that does away with facts and memory-building exercises to focus on doing instead. That doesn’t mean we simply ignore core numeric and literacy skills out the window though. Entrepreneurialism is one thing, but specific, tangible skills such as coding are vital too. And there’s a real demand for such skills just now – in Britain and beyond. Teaching kids how to problem-solve is a pivotal part of their development in the early years. And programming goes a long way towards teaching many such skills beyond that of pure code. Of course, there’s no shortage of services geared towards helping people of all ages learn valuable coding skills outside the school environment. There’s General Assembly, Thinkful, Khan Academy, and Codecademy to name but a few. Indeed, Zach Sims, CEO of Codecademy, was in the house to impart some thoughts on how coding can become better integrated into education and society. And part of it will involve convincing parents that it can bring many valuable skills to a child’s arsenal. Parents are already on board with the importance of mathematics and English in school. Any parent still wondering whether programming deserves an equally lofty status should take a look at the growing ubiquity of computers, tablets, smartphones, smart TVs and all the rest. How do we ensure that children can create art that stands the test of time, and how do we teach creativity in a digital world? David Puttnam, the producer behind movies such as Chariots of Fire, Midnight Express, The Killing Fields and more, has turned his attentions to education in recent years, serving on boards and lecturing at various universities. He says schools should do more to encourage children to pull their various strands of creativity and know-how together to create something significant. Interestingly, Puttnam actually uses a fictional 80s’ movie character to illustrate what he means about encouraging bright students, who may not fit into a conventional schooling system, to flourish. It’s all about not accepting someone else’s judgement of your ideas. And this single-mindedness has to be encouraged from a young age. Ian Livingstone, author and co-founder of the popular Fighting Fantasy roleplaying gamebook series, and UK-based games company Games Workshop, offered his thoughts on the role creativity plays in building out broader skills. More specific to education though, Livingstone touched on some of the same ideas touted by the other talkers, vis-à-vis ditching fact-learning for problem-solving. But how radical should we be about not learning facts, and concentrate on how we process information and problem-solve instead? Data and information exists on hard-drives and servers, so do we need to know ‘stuff’ like we used to? It’s a massive departure from what we’ve all become accustomed to, and it won’t sit comfortably with everyone. What’s being suggested isn’t about not-knowing things. The general consensus is knowledge that we may use on a day-to-day basis, such as arithmetic (times-table) and spelling should remain, but we need to rethink how we assess ‘success’. The basic idea is this. Find what a kid does at an A* level, and focus on that. In theory, the kid will leave school knowing and appreciating what they’re good at. They might be amazing at 5 or 6 subjects out of 9, so why not focus on these, rather than forcing them to do the stuff they’re not so good at? Tip that even further towards specialization – what if a pupil only has a desire or natural aptitude for 2 or 3 subjects? It doesn’t take a maths whizz to figure out how much of their time at school they end up hating. Indeed, all the potential joy that’s stymied in formal education should be brought back into play, so to speak. Let’s stop being such killjoys. Education shouldn’t be a chore. And it shouldn’t be fearful – it should be enjoyable and fun. There’s a reason why many kids love school at the start, and gradually grow to hate it as they progress through the years. Maths may not be many people’s favorite subject, but it is an important one for many reasons – so we need to make it as popular for schoolchildren as it is among policy-makers. Meet Shimon Schocken, founder of Slate Science, an initiative designed to generate hundreds of ‘a-ha’ and ‘woo’ moments in schools. What moments could we be talking about here? “When the child realizes that what they’ve learned is directly relevant to something, maybe from a different class or everyday life,” says Schocken. Slate Science specializes in building mathematical skills and intuition through playful interaction. Though many of these games seem little more than that on the surface, they set out to teach things like algebraic expressions, and ‘mapping’ without being overt about it. Indeed, these sentiments permeated Wolfram’s talk. Wolfram’s primarily arguing for a subject called computer-based mathematics, one that takes the real world and replicates it in education. This is complemented by computer-assisted maths, which will involve “modernizing the pedagogy” – how we get people to learn subjects, including maths. Combining ‘assisted’ with ‘based’, Wolfram argues, will be a huge benefit to the subject within schools. In years gone by, there was a huge gulf between the machines and tools you use in real life, and what was actually available in the classroom. This gap has narrowed though – PCs, tablets and software are broadly the same across the board, so there should be a much greater correlation drawn between what’s taught in schools and what will ultimately be used later in life. While computers can be used in many subjects to ‘assist’ learning, what Wolfram talks about is ensuring teachers are there to guide the pupils through the problems, with the machine doing the calculating. With programming likely to receive more attention in school syllabuses around the world in the coming years, computers will likely become more and more ingrained in classrooms around the world. And with a PC or tablet on every desk, machines may well end up replacing many time-consuming manual activities in maths and other school subjects. But it may require a seismic shift in attitude for this to ultimately happen. Freelancer.com, the popular website for offering and picking up outsourced work, is going mobile after announcing an app for Android. Available to download in an open beta, the app is fairly basic at this point. Its main purpose is to allow Freelancer.com’s 10 million registered users to communicate via its messaging system, while letting them accept (or reject) projects offered to them. There’s more to come. 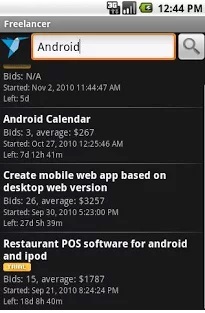 The company says a “full-feature” version that allows project management and bidding for jobs will arrive very soon — there’s no word on an iOS app though. Initial reviews on Google Play aren’t particularly positive, but, if you want to try out the app, you’ll need to join the beta (here) before heading to the link below. Yet another government has frowned upon Bitcoin, but acknowledged that people are free to trade in it, along with other digital currencies, at their own risk. Bank Indonesia has just issued a statement clarifying that it doesn’t recognize Bitcoin as a legal currency in the Southeast Asian country, DailySocial notes. The central bank did not mention anything about regulation, which could be interpreted in a positive way for those trading in it. 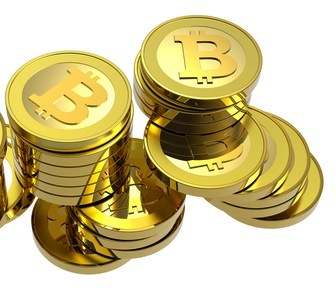 However, it warned of the risks of Bitcoin and urged people to be “careful” when dealing with the crypto-currency. Today’s statement follows Bank Indonesia’s initial decision last month that ruled Bitcoin as an illegal and unsupported method of exchange, violating at least three of the country’s laws, DailySocial reports. It appears that Indonesia is now allowing Bitcoin to continue existing in the country among its online population and simply warning of the risks — though the lack of regulation means that if you come upon issues such as fraud, you won’t be able to receive any legal backing.